From Dayton, Ohio to Boston, Massachusetts, back to San Diego and Anaheim, California, T-Mobile customers are beginning to see LTE speeds in their area. But just because you see these speeds doesn't mean that the carrier has flipped the switch and is flooding your backyard with LTE. There is a good amount of fine-tuning and tweaking that takes place before LTE is launched in a specific market. Here is a list of markets expected to get that sweet stuff (LTE) by the end of this month: Atlanta and Sandy Springs, Marietta, Austin and Round Rock, San Antonio, Part of the Carolinas – Charlotte, Rock Hill, Chicago and Joliet, Naperville, Cincinnati and Dayton, Cleveland, Connecticut –Bridgeport, Stamford, Norwalk, Columbus and Mentor, Dallas and Fort Worth, Arlington, Denver and Aurora, Broomfield, Detroit and Warren, Long Island, New York and New Jersey, Los Angeles and Pasadena, West Covina, West LA, Metro LA, Burbank, Beverly Hills, Oklahoma City, Orlando, Miami and Fort Lauderdale, Minneapolis and St Paul, New England – Boston, Cambridge, Philadelphia and Camden, Sacramento and Arden, Arcade, Roseville, Fresno, San Diego and Carlsbad, San Marcos, San Francisco and Oakland, Seattle and Tacoma, Bellevue, and Tampa. The carrier has said that it aims to have its LTE signal cover 100 million POPs by the middle of this year and 200 million by year end. Let me be the first to confirm that MPLS, MN is already on fire. I was cruising at over 30Mbps down and 17 up just next to the U of M on Friday. 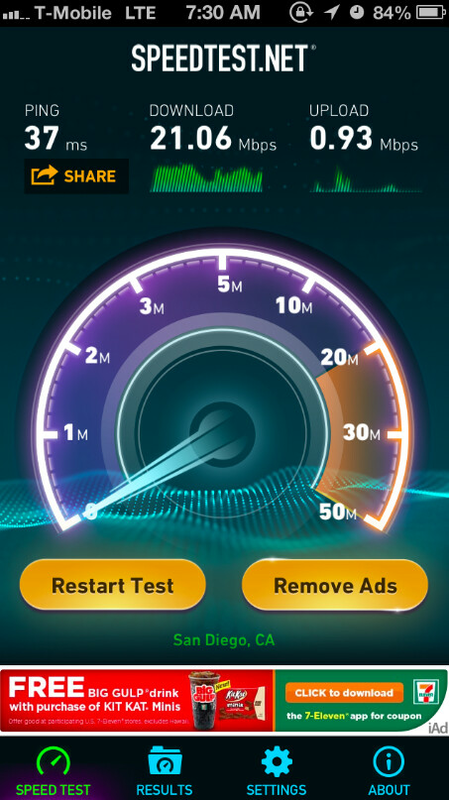 Just got my first LTE sighting this morning in Ann Arbor, MI. 33 down & 27 up while only getting 2-3 bars. I was more than impressed to say the least. The best I ever got on HSPA+42 was 22 down & 4 up, which is still impressive. hmm Im in Sterling Heights and work in Warren and havent seen anything yet!! Dammit!!! Thanks Tmobile, me, my note 2 and Atlanta appreciate it. Finaly can say goodbye Sprint hello Tmobile! 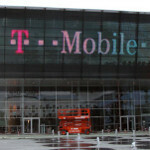 And yes Folks within three short weeks, T-Mobile LTE will quickly surpass Sprint's LTE rollout. BOOM! Be nice if i could get Tmobile. What is that speed test app? My speedtest.net app looks nothing like that awesomeness! Already getting LTE in San Antonio on my HTC One!! !